The closure last week of the Lucky Dragon’s casino and restaurant operations sent a minor jolt to Las Vegas to open 2018, but it gets a shot in the arm this week as more than 170,000 people descend on the Strip for the Consumer Electronics Show. Buck Wargo interviews Brent Pirosch who is a gaming analyst with CBRE. The Lucky Dragon’s 203-room hotel remains open for CES along with one restaurant and bar, and the hotel has announced all of its operations will reopen within six months. It opened in November 2016. The Asian-themed property focused its marketing of being a local’s casino catering to Asian Americans from Chinese, Korean, Japanese, Filipino and Vietnamese ethnicity living in Las Vegas. It has used the Chinese-language newspapers and other media in Las Vegas to market to customers and to those in California. When Lucky Dragon developer Andrew Fonfa bought five acres on Sahara Avenue next to the Strip for $2.7 million in 1985, he said he always envisioned a high-rise hotel-casino on the site. Pirosch said the Lucky Dragon was penalized for being just off the Strip on Sahara Avenue. They are considered a “boutique property” of which there aren’t a lot in Las Vegas because they lack amenities. Pirosch said the Lucky Dragon went after a niche market, but they weren’t high-end international players. They were ethnic Asians in Northern and Southern California along with those in Southern Nevada. Pirosch said if a company is going to open a casino that costs $3 billion or more today, they need to draw in $300 to $400 million in gaming revenue to make that work. The kind of places that could do that were the Wynn and Encore, The Venetian, Palazzo and Bellagio he said. “If you don’t have an existing data base like the Wynn or Bellagio, that is even tougher,” Pirosch said. “You have to steal that number from them, and there are a finite number of people like that in the world. 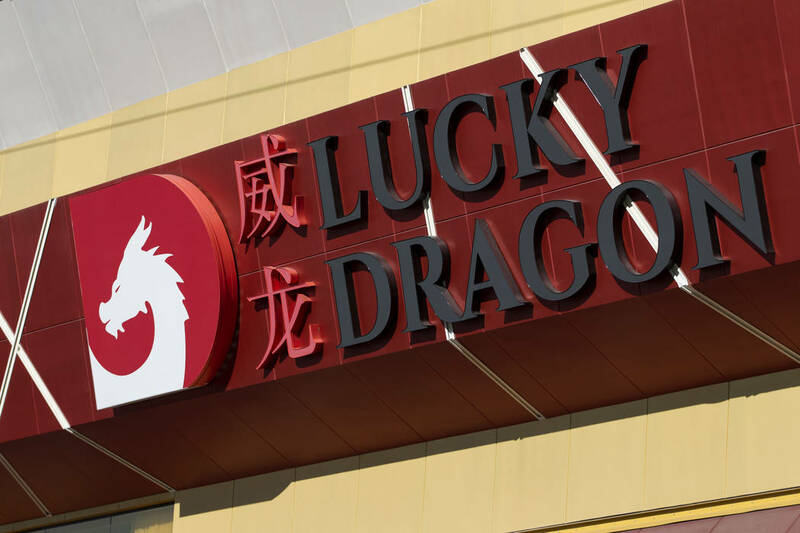 What happened to Lucky Dragon doesn’t mean there’s concerns about other projects on the north end of the Strip, such as Resorts World Las Vegas, the $4 billion project resumed by Malaysia-based Genting, Pirosch said. It has an international data base and is trying to establish a worldwide footprint, he said. Nevada and Las Vegas gaming win revenue took a dip in November in the wake of the Oct. 1 mass shooting, but Pirosch said the region will end the year slightly ahead of its 2016 pace and 2018 will have “moderate to flat growth.” No one should be concerned because it’s not the growth that the non-gaming segment has been in recent years, he said. The Las Vegas Convention and Visitors Authority released its numbers last week that showed visitation numbers declined in 2017, but Pirosch said no one should be concerned about that as well. The biggest reason for the decline was that major Strip properties had rooms off the market undergoing renovations. In November, statewide gaming revenue was $909 million, a 2.3 percent decline from November 2016. In Clark County, it was $785 million, down 3.2 percent. The Strip revenue was $485.7 million, down 6 percent. Downtown reported $54.2 million in revenue, up 6.8 percent. The trailing 12-month comparison through November 2017 “has been as strong as anything since 2007, and mass market revenue has been above everything since 2008,” Pirosch said. The Strip is up 1.8 percent for 2017 through November he said. “In all, 2017 looks to be a respectable year and among the highest since the recession,” Pirosch said. Downtown has shown greater percentage growth than the Strip for four years running, Pirosch added. That market “continues to provide an excellent value alternative to the Strip, and new capital spending and ownership seems to have done the trick,” he said.